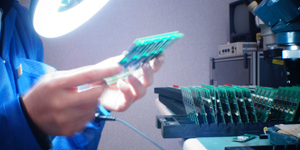 Capable of providing IC Programming services, we make sure every PCB is working properly before leaving our doors. For added assurance of the quality of your product, we commit to testing your product to your requirements. Our team catches any errors or flaws in PCBs. Do you have any custom testing or stress test needs? Let us know, we will be more than happy to accommodate your critical needs. We accommodate all industries in need of PCB manufacturing and specialize in environmental, medical, marine, traffic control, oil & gas & lighting sectors. Our PCB assembly is unmatched in delivery and customer service.